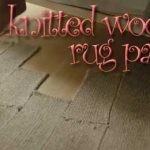 How fun: Finger knitting projects! 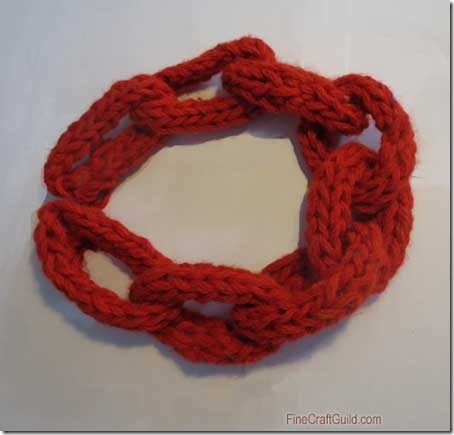 Now that you’ve the finger knitting directions, let me give you some creative ideas. 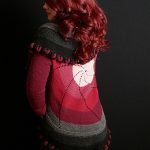 Here are a whole bunch of gorgeous finger knitting projects, using this fun technique. 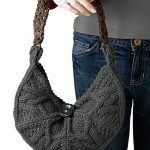 Finger knitting usually results in smaller projects, offering a great way to use up bitty bits of left over yarn, to recycle and to make accent accessories. 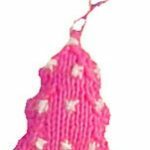 Here are different finger knitting projects and ideas. 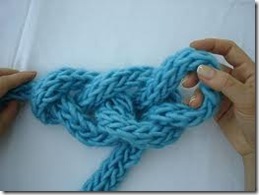 Finger knitting is really a cool crafts for kids, any time of the year. placemats . 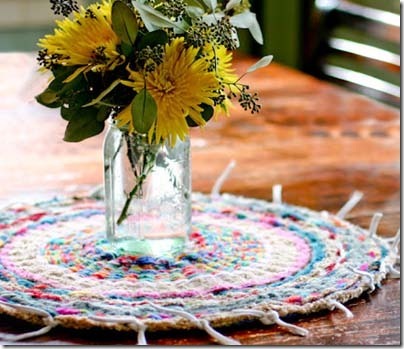 Work with fine finger knitted materials and weave it in circles to make coasters and placemats. 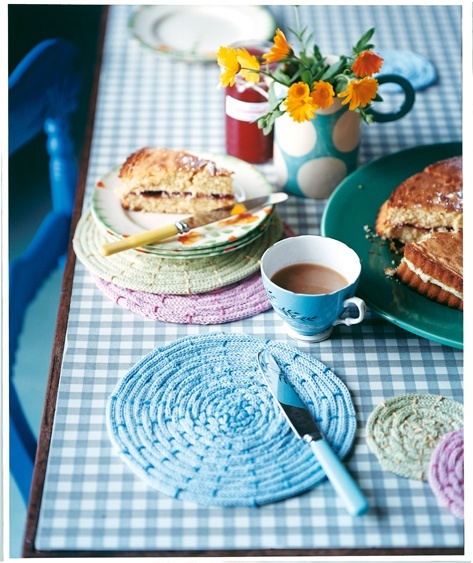 This placemat is made with a spool, as per the shamrock project. 2. Chunky garlands in pink for girl bedrooms some to mind as a whimsical alternative use of the super-long finger knits, or how about draped over a bed lamp shade? 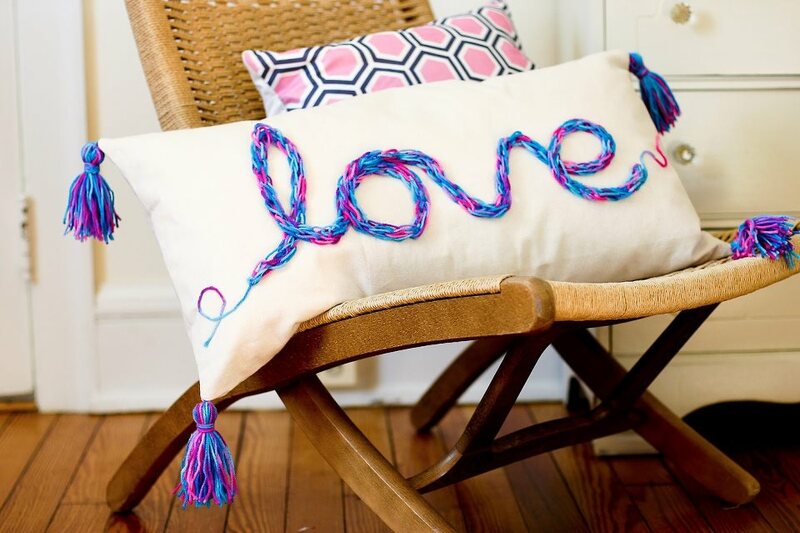 Or twirled and sewn onto a throw pillow, for a matching bedroom set. OK. I better make this for you, as I sure can’t find any pictures yet of this idea. 3. 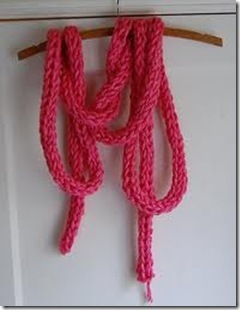 The most common project of finger knitting is to make a loopy scarf. I quite dig this candy colored version. 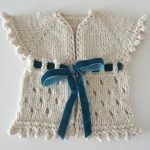 So, while this looks like a wonderfully chunky necklace to me, the idea of the knitter is actually to use it as a garland to decorate her house in Winter. 4. 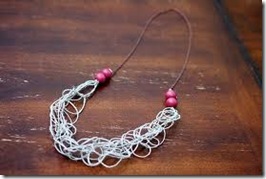 Now that it’s the season of chunky necklaces, learn how to make this comfy, chunky finger knitting necklace ~ pattern. 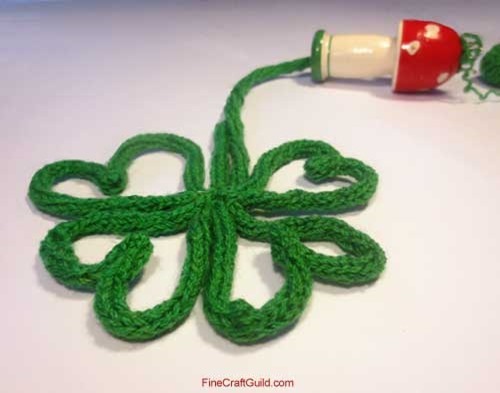 Make great craft gifts! 5. 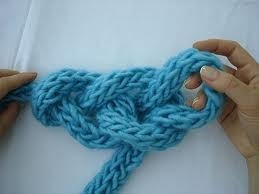 Consider finger knitting with hemp rope instead of yarn. It is very thin and so the result will be very loopy. 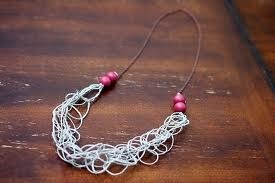 Attach two single pieces of hemp on either side and add 2-3 beads to the cord plus necklace findings to finish of this project. Tip of the trade: (see the picture) the bigger beads hide the knots of where the single hemp rope is attached to the knitted rope segment. Sorry, I will have to leave the knitting to you. 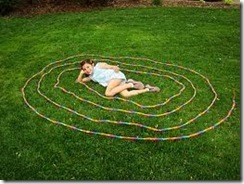 Great ideas — I’m going to try the chain with my son. He’s only got the patience to knit for a short while, so I can save the scraps and put this together. 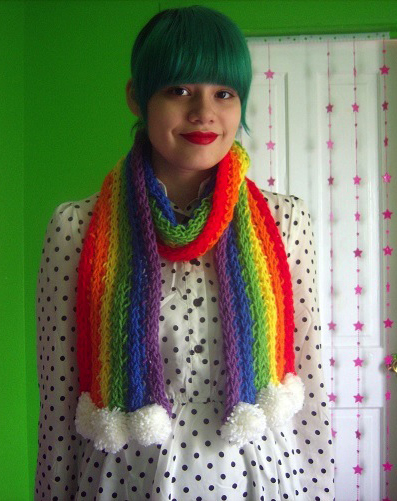 my granddaughtershowed me what she did with hand knitting. now I want to try it. 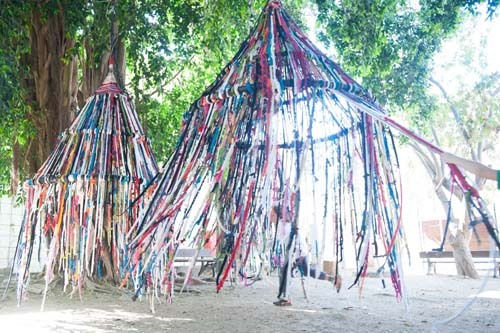 with some kind of soft yarn and try to make a small throw rug. beside my bed attaching it to rubbers shelve liner. I hope it will work. That’s great, Maggie! I hope it will work too. Let me know if you have any questions! Love to see pictures (of work in progress) as well!